Duration of result: 6 to 24 months. Result is not permanent. Individual results and duration vary. Product: Due to TGA restriction, we are not allowed to advertise the name of these approved premium products. With the support of her dedicated team, Dr Joanna Teh provides dermal fillers to clients from across Perth. This treatment is clinically proven to be safe and highly effective, and is used by millions of people around the world. While individual results may vary, you can rest assured you are in highly experienced and very caring hands. Dermal fillers are applied to the area under the skin to fill out wrinkles and reduce ‘sagging’, resulting in a face which looks years younger. If you are concerned about fine lines and wrinkles, this simple treatment can deliver almost instant results. Dr Teh will consult with you carefully before recommending an individually tailored treatment plan. If you find yourself looking in the mirror and wishing your face reflected the way you really feel, dermal fillers are a cost-effective solution. Many women and men have been discreetly receiving this treatment at Dermedica Perth for years without questions from friends or family. If you are ready to feel more youthful and step out with confidence, book a consultation today. Dr Teh used a soft filler on this lady to correct her smile lines before it gets too deep. The result is instant. This lady consulted Dr Teh about her facial wrinkles. Using a refined technique, Dr Teh has smoothed out her winkles using a specially formulated filler. Now she can smile with confidence! This lady was not ready for surgery so she consulted Dr Teh about her non surgical options. Dr Teh used a combination of thick and thin dermal fillers strategically placed in the correct plane of the skin. Using the correct fillers Dr Teh is able to lift and smooth the marionette lines. Results can last 6-12 months. There are also other longer lasting options. The deepening nasolabial lines made this lady look sad. After a thorough consultation with Dr. Teh to assess her options, she opted for Dermal Fillers to restore her look as Dr. Teh assured her it would be natural and fresh looking. This lady was concerned that her face was looking tired but she was afraid of doing anything too obvious. Dr. Teh advised her to try Dermal Fillers for her lips and smile lines on her cheeks. 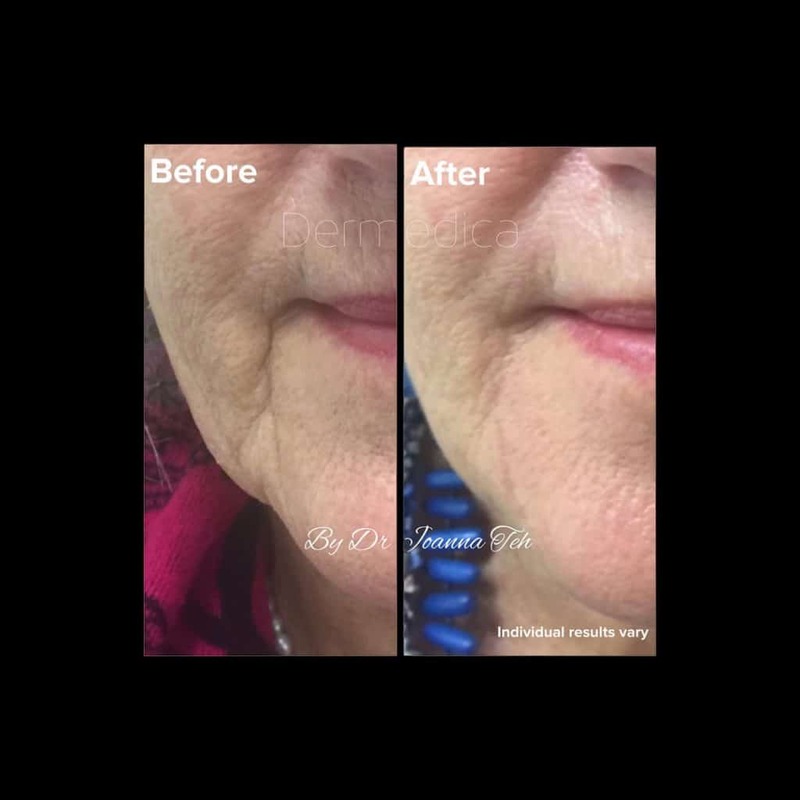 After 1ml of specially formulated filler with a soft touch technique, most of her wrinkles have softened significantly. None of her friends asked if she had fillers…their comments were “you look well rested” or “have you changed your hairstyle today because you look great”. People will notice the difference but no one will be able to tell what you did! 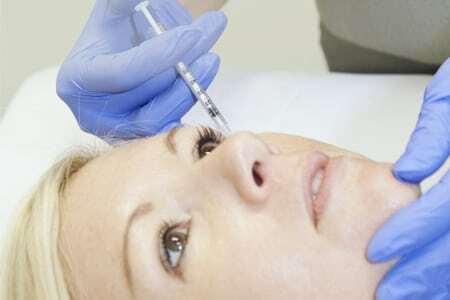 What are Dermal fillers (also known as wrinkle fillers)? What are the costs/prices of dermal fillers injections? 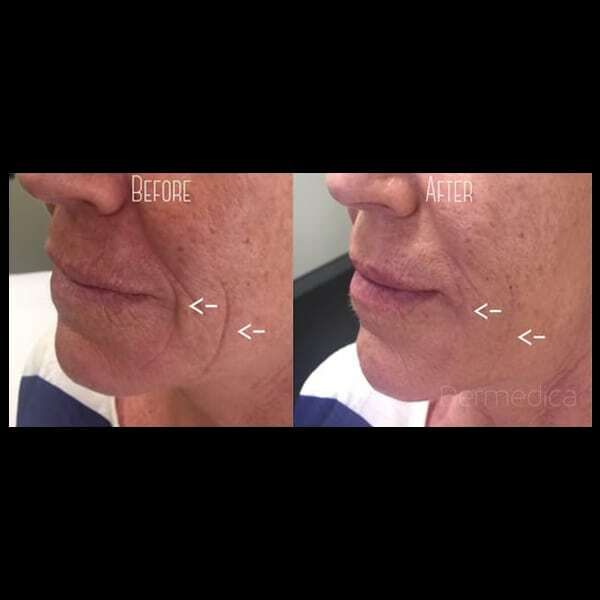 What type of dermal fillers are used at Dermedica Perth Cosmetic Clinic? What are the latest and best dermal fillers available in Perth? Where are the common areas treated with dermal fillers? What’s the difference between dermal fillers and wrinkle relaxers? What are the longest lasting dermal fillers? What does the dermal filler treatment involve? Is it painful? What do I look like immediately after dermal fillers? What is the recovery period? Can dermal fillers be used together with other treatments? 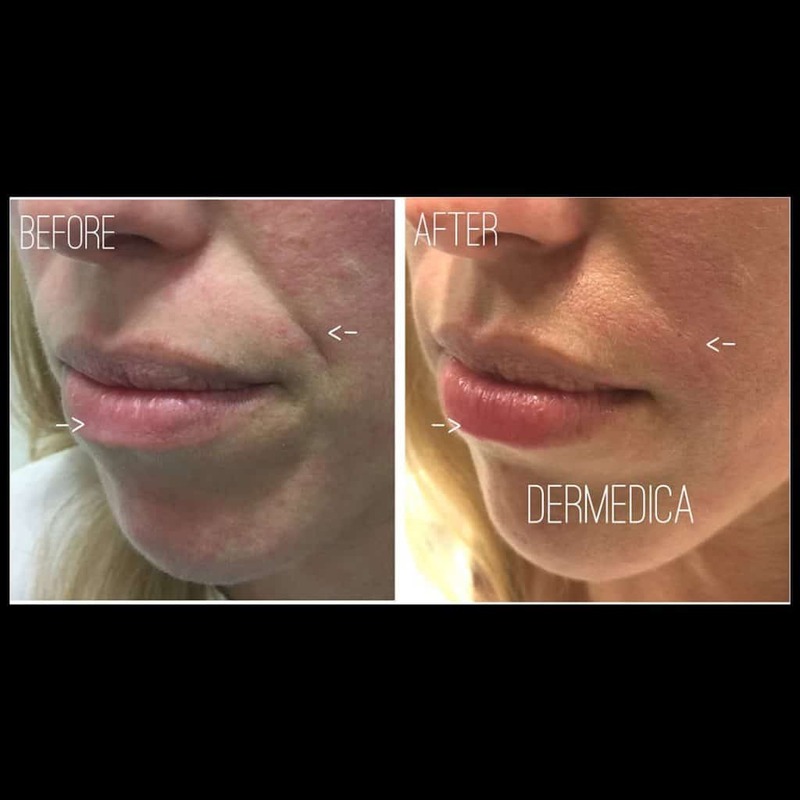 Why choose Dermedica Perth Cosmetic clinic for your dermal fillers? Dermal fillers are biocompatible and made from a naturally occurring substance in our skin. This substance is commonly used in skincare products to hydrate your skin. Due to TGA restrictions, we are not able to name this active ingredients. What we can tell you is that Dermal fillers help to strengthen and restore the integrity of your skin. Dermal fillers or wrinkle fillers can fill individual wrinkles and restore volume or revolumise areas of your face that are sagging. Dermal fillers can instantly lift and repair wrinkles and correct volume loss. Sometimes a combination of wrinkle relaxers and dermal fillers are used to provide an optimal result. The cost of wrinkle fillers can vary, depending on the individual. This depends on the type and severity of your facial wrinkles, the degree of volume loss and the quality of your skin. There are different types of dermal fillers formulated to treat volume loss, smile lines, lip lines, lip enhancement, nose enhancement and cheek enhancement. To determine the type of dermal fillers you need and the cost, you will need an assessment by Dr Joanna Teh at Dermedica Perth. There are a number of fillers available at Dermedica, ranging from temporary to semi-permanent. At Dermedica, we use the latest generation and best dermal fillers to give you the safest and best outcome. 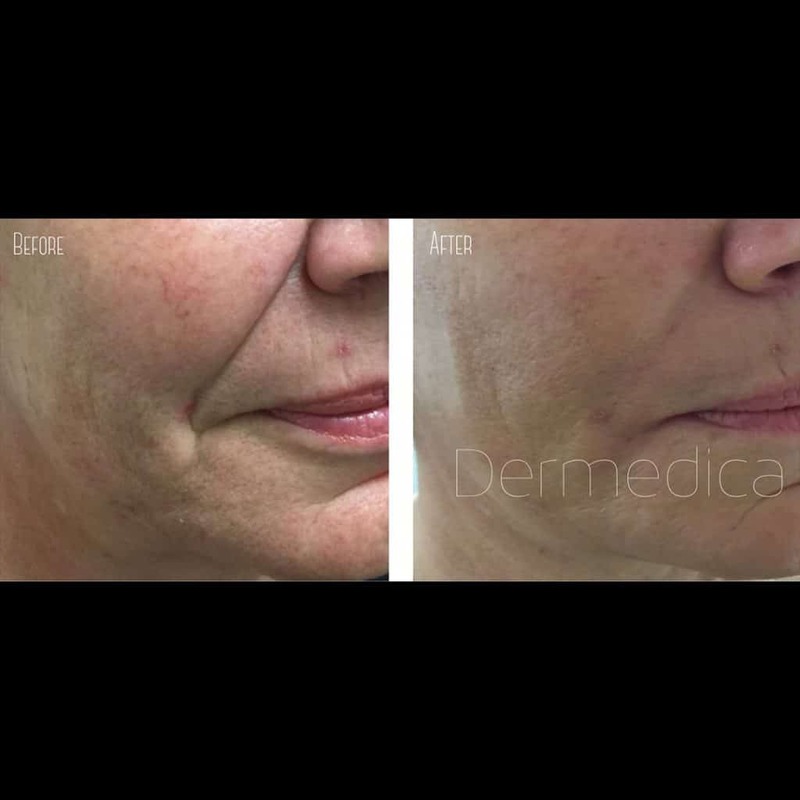 The dermal fillers we use at Dermedica have been technologically improved to integrate into the appropriate levels of skin better, and to last longer. The differences between the dermal fillers are their softness, viscosity, and duration. We offer a wide range of different wrinkle fillers to treat various types and depth of wrinkles, folds and sagging skin on your face. The best dermal fillers are the ones that are formulated to treat specific areas around your face. Dr Teh at Dermedica uses next generation dermal fillers. These result in skin-like softness and, when injected, result in less swelling compared to previously available dermal fillers. 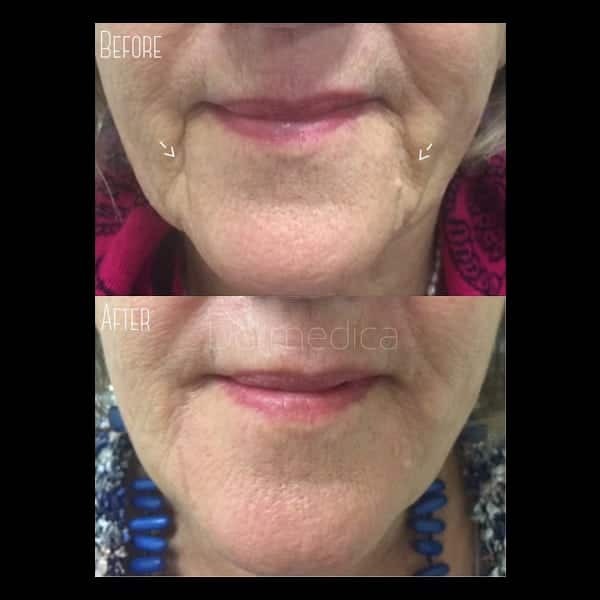 These mouldable dermal fillers have truly amazed many of our clients by restoring facial contours and minimising wrinkles in an incredibly natural looking way. 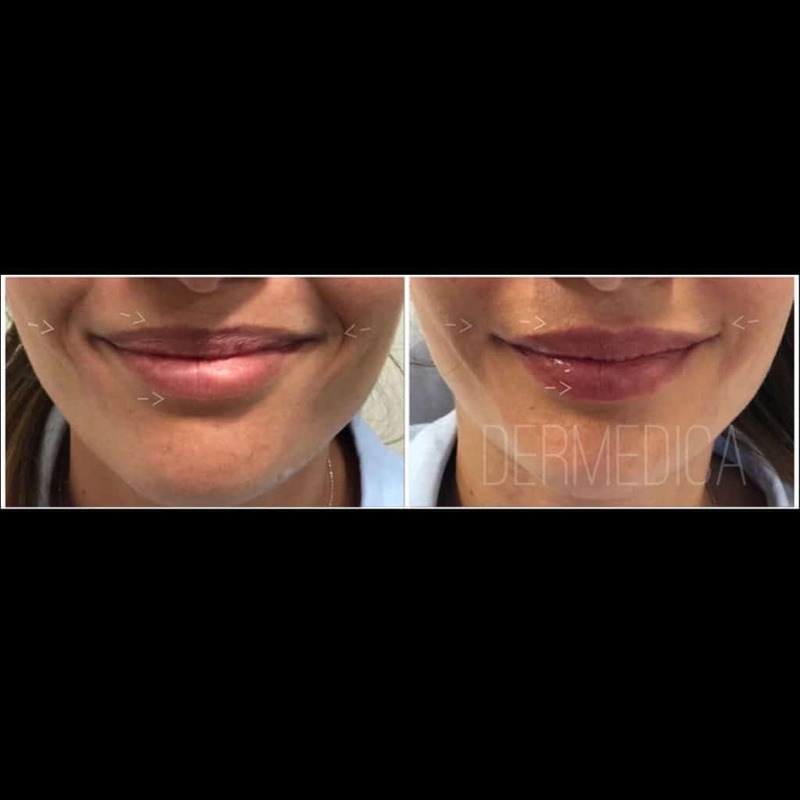 The next generation dermal fillers offered by Dermedica provide a comprehensive solution for your face by lifting lip lines, cheeks and wrinkles, giving you a natural restoration of the face without plastic surgery. Your dermal fillers are made without animal products and are therefore less likely to cause an adverse reaction when injected. With an improved, gel-like texture, these fillers mould into the existing skin level more fully in order to deliver longer-lasting results. A consultation is very important to discuss your cosmetic needs and a customised dermal filler treatment plan. With our wealth of experience, we will be able to discuss the treatment options that are best for you. Both dermal fillers and anti-wrinkle injections treat wrinkles. However, they treat wrinkles differently. Dermal fillers are administered into the actual skin or under the skin to lift fine wrinkles and replace volume. Wrinkle relaxer is a neuromodulator or muscle relaxant is injected into the muscle to reduce muscle movement. The result is less wrinkling action on the skin. Wrinkle relaxers are commonly used to treat frown lines, crow’s feet and forehead lines. Due to TGA restriction, we are not permitted to mention the specific name of the anti-wrinkle injection product we use at Dermedica. To find out the name, please contact our clinic. 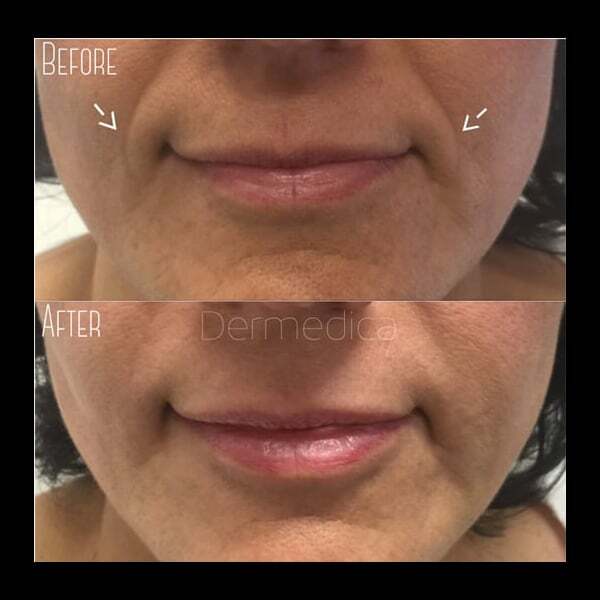 The dermal fillers used at Dermedica Perth Cosmetic Clinic are naturally absorbed over time*. Individual results and duration of effect vary. Due to TGA restriction we are not allowed to publish the name of the long-lasting filler that is best for your skin. As with all medical procedures, individual experiences will differ. It is important to have a thorough discussion with an experienced cosmetic doctor before you proceed. Your dermal filler appointment is a quick, minimally invasive treatment that delivers results instantly. In most cases, you can resume normal activity immediately. Not a bad treatment considering that the wrinkles took years to form! 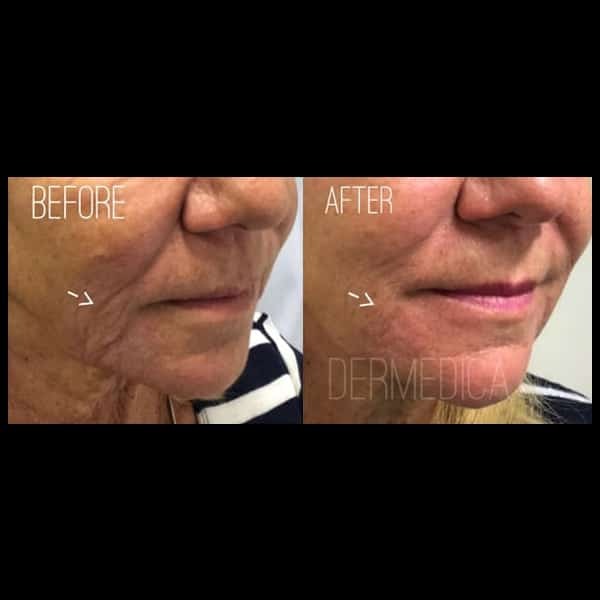 At Dermedica Perth Cosmetic Medical Clinic, through years of experience Dr Teh has developed specialised techniques to make your treatment as comfortable as possible. In the hands of an experienced and cautious cosmetic doctor like Dr Teh, you will find the procedure very pleasant… because we care about you and your outcome. 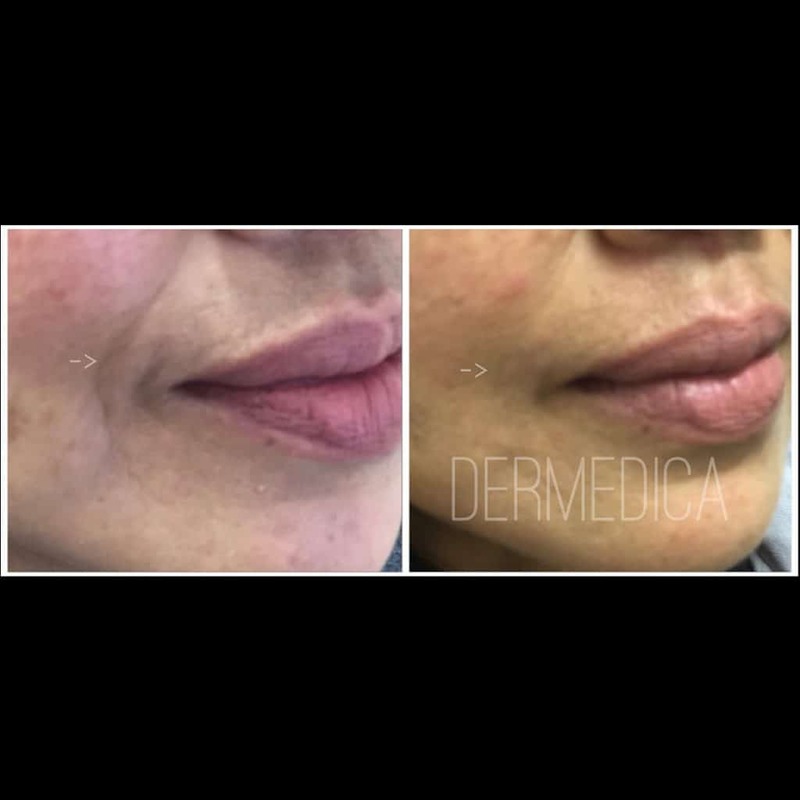 The dermal fillers used at Dermedica Perth Cosmetic Medical Clinic have been around for over 10 years and safely used in over 4 million treatments in more than 70 countries worldwide. 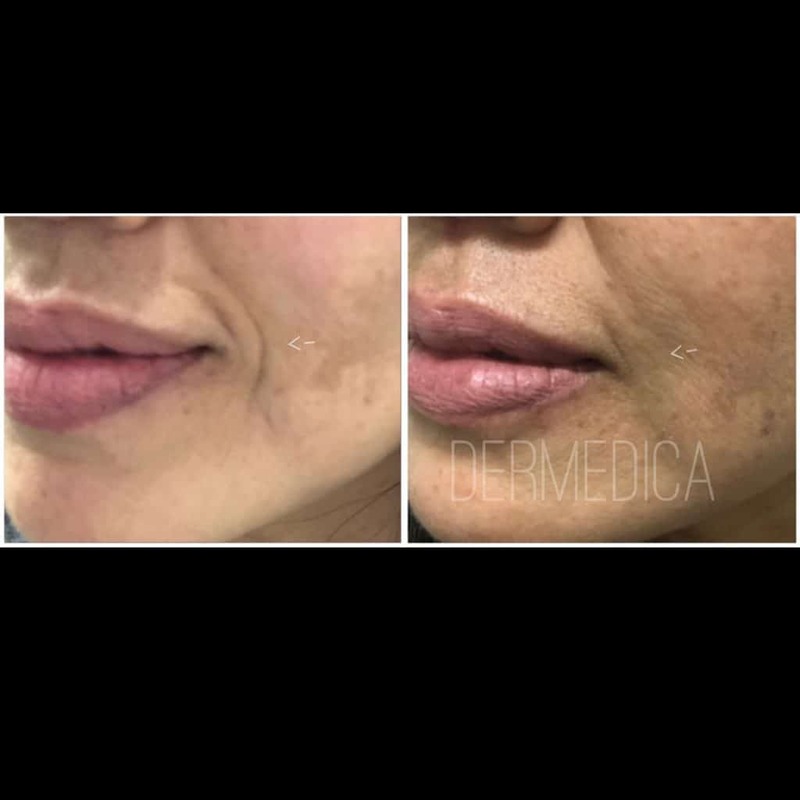 All wrinkle fillers used at Dermedica Cosmetic Clinic are clinically proven and licensed for treating wrinkles due to their safety and efficacy. *As with all medical procedures, individual experience will differ. It is important to have a thorough discussion with an experienced cosmetic doctor before you proceed to assess risks and side effects. With experience and knowledge of the facial anatomy, precautions are taken to avoid potential side effects. Rare side effects are temporary lumpiness, allergic reaction and infection. Minor side effects of bruising and swelling can occur. You can be assured Dr Teh will take the utmost care to ensure your treatment and recovery is as pleasant as possible. As with all medical procedures, individual experiences will differ. It is important to have a thorough discussion with an experienced cosmetic doctor to assess risks and side effects. Immediately after the treatment you may notice some redness and swelling. Bruising may also occur, which can be easily be covered up by concealer in most cases. The recovery period ranges from 1 to 5 days when dermal fillers are used by an experienced cosmetic doctor. Most people can return to their usual activities immediately after the treatment. 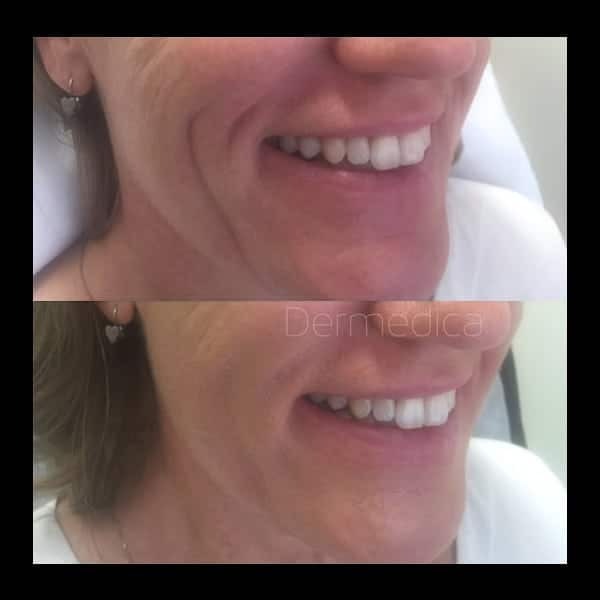 Dermedica can successfully combine dermal fillers with wrinkle fillers, facial/chemical peel, IPL photo rejuvenation or lip enhancement to give you a younger looking appearance. This revolutionary treatment gives you the opportunity to look younger without surgery. Dr. Joanna Teh has been administering wrinkle filler injections since 2000. Beyond her medical expertise and experience she also has an eye for symmetry and beauty. She carefully assesses each face individually and selects the best palette of products to put back what nature has taken away. Over the years, Dr Teh has developed advanced techniques to precisely give the natural result you desire. Like so many of our past clients have told us, you can expect your colleagues or friends to notice the subtle improvements in your appearance and simply comment that you’re looking healthy, relaxed or refreshed. We’re often told by our patients that the improvement was “like magic” after being unhappy with a particular cosmetic problem for many years. The results may seem like magic, but the science is based on proven medical treatments that work. To find out more about our dermal filler treatments or book your appointment with Dr Joanna Teh, please call 92051995 or [email protected] Contact us to find out more today!